Hey, Y 11 is coming up and the turn of the year is the usual time when most Neopians make a list of ideas to better themselves in the new year. There is a wide range of goals that Neopians set for themselves. They range from costing nothing to costing over 1 million NP. The only limit you can give yourself is inside your mind. (Go tell King Hagan that one.) You'll find something in this article, or at least a starting base. The first step is just composing a list. It is best to write everything down, from your rough ideas to your final product. A list can be a messy assortment of thought bubbles or a nest line of bullet points. Really anything that keeps you comfortable and organized. I am giving you the head start, but you'll have to come up with the rest on your own, which is why you should really take notes. A good resolution is truly thought out and has a good back-up plan. Make sure your goals are reasonable. Unreasonable resolutions are often forgotten about quickly whereas reasonable resolutions usually are succeeded. 1. Becoming the richest Neopian. 2. Having a top ten shop. 1. Reaching 1 million NP. 2. Enlarging your shop and giving better deals. 4. Never having hungry pets. As you can see, the unreasonable goals are difficult, a little too challenging. The reasonable goals are... well, reasonable, and you know there's a way to reach them. First you must decide who this goal is going to affect. This is the basis of any reasonable goal. This will help you design a specific goal. Here are some groups you can do better for. They are only the common groups, so you can expand a little. Be creative. Choose from these groups and then your on your way! 1. You can better a single pet. It doesn't need to necessarily be yours; doing better for a pet can include feeding a kad or adopting a pound pet. This is a good way to go. Or you can paint your own pet, read books to him or her or increase your pet's level. You must wisely choose which pet to focus on and be careful to not shove all other pets aside, although doing good for just one pet can be as simple as feeding them a gourmet food. My pet Smallchicky commented on this. Smallchicky: I like the idea of paying attention to one single pet, but I get kind of jealous if that pet is not me. Everyone gets jealous sometimes, even if they can't help it. And then you have to decide which pet to pick. Usually other pets get tossed to the side and that makes us sad. 2. You could just better your own personal account. This can include: reaching 1 million NP, painting all your pets or winning some fabulous award. This is great, and makes a better impression on others. Everyone wants to have a fabulous user look up, right? Doing better for your account could be simply becoming a member of some fabulous, gift-giving-away guild. I talked to a newbie about this. They did not want their account username included in the article. Newbie: Bettering your account is great, if you have the NP to do it. Personally, I'd love to paint all my pets are something like that but I'm poor. I mean, they only give you 1000 NP to start out with for crying out loud! Most newbies like me cannot better their account much, so we feel bad when we look at user look ups sometimes. I once felt like I was the worst Neopia had to offer because on one person's user look up it said they'd painted all their pets and reached 2 million NP. If you do set a personal account goal, you may want to not tell the world about your accomplishments in big yellow letters on your user look up. 3. This one is my personal favorite. You can better the entire community. This includes discarding junk items, donating to the Money Tree or giving a stranger a really nice gift. This one doesn't cost much because a little can go a long way. Hopefully a little can even start trends. I am commenting on this one, not as the writer of this article but as a normal Neopian. Cherokee_kitten_: This is a great one. (As the writer Cherokee_kitten_ already told you.) I can afford to do this! The few times I've needed the Money Tree I got a junk item. If we really tried to help out poor Neopians, Neopia would be a better place. Just discarding junk items helps, and that is completely free. Okay, now I'm back, as a writer. 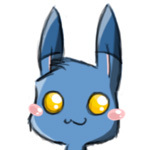 (I hope you didn't mind me commenting on that one, I just cared about it too much. Not to say I didn't get good comments from other users.) As you can see this is the base to starting your New Years resolution list. You don't have to use my suggestions; you can create your own. I do, however, think I gave some good supporting tips to help create any resolution. But, using my suggestions, I'm sure you can create a reasonable resolution now. 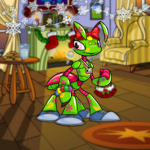 There are some very creative Neopians out there; I'm sure you can think of something! Y 11 holds many possibilities, many resolutions, good for many. I hope you do with it all you can. Have a great year. I'm leaving it up to you to come up with the rest. Happy Holidays, and have a happy New Year. Until next time, Cherokee_kitten_ . "Add a slice of carrot, don't forget the tomato! Toss a dash of pepper to it, then finish off with a potatooo!" Sarina sang at the top of her lungs.